Having exceptional customer service isn’t reserved for typical B2C companies. In such a tumultuous and often scary industry (for consumers, at least), insurance companies and agents must also take a close look at how their customers are perceiving the assistance they are getting. Understanding is also a huge part of this customer experience. Why? Because insurance is complicated. For many insurance companies, automation is an angle that’s gaining traction for providing more streamlined and consistent customer service. 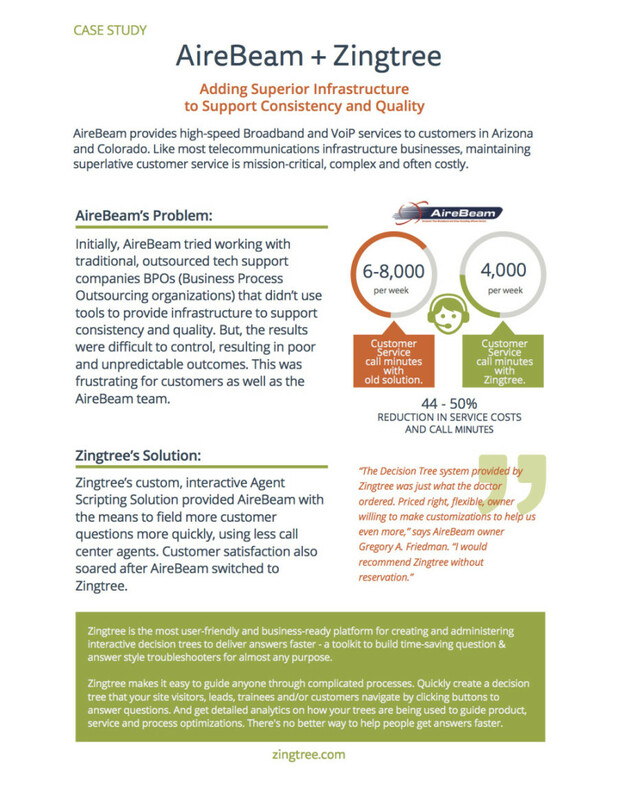 Our partnership with EasyInsuranceScripts.com is a great example of how decision trees are being used to simplify. Simply put, Ted Baker, the Founder of EasyInsuranceScripts.com, envisioned a more streamlined way to improve how independent insurance agents were being trained, guided through complicated conversations and policy selections, and processing claims. In an industry with so many small, yet important, details to be understood, these conversations and processes can become intimidating very quickly. With our own knowledge and experience in simplifying the complex, we knew decision trees would be an ideal fit. Joining forces between Zingtree and EasyInsuranceScripts.com has allowed Ted’s services to offer the most comprehensive set of resources for independent insurance agents as a result. 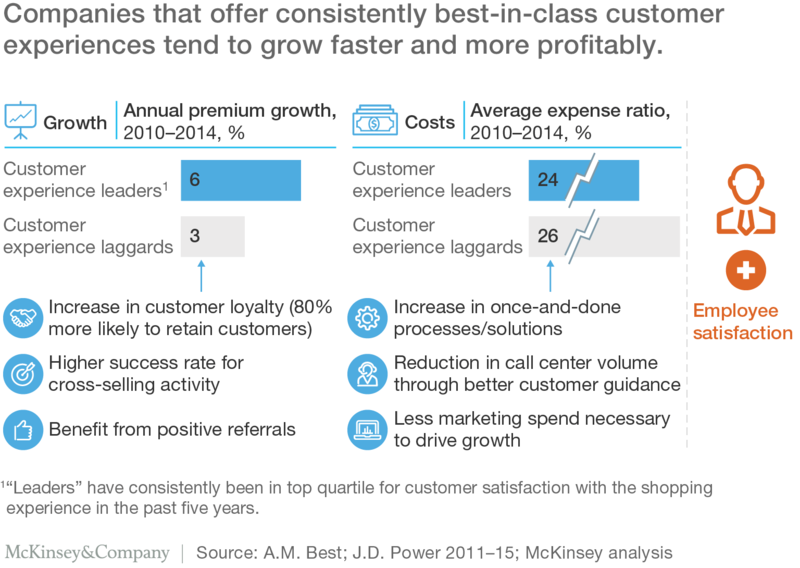 McKinsey’s global research across industries shows that improving the customer experience can do far more to drive profitable growth than raising advertising spending or lowering prices. Some executives may still see insurance as a low-engagement, disintermediated category, but analytics prove that in an industry where profits are highly concentrated, leading carriers are delivering customer experiences that inspire loyalty and attract new customers frustrated by their experiences with their current carriers. A typical insurance carrier today delivers customer experiences via separate functions (marketing, distribution, underwriting, claims), using a website, sales call center, service department, and so on, most managed by different executives with different goals and metrics. This structure may have its purposes, but it overlooks the fact that from the customer perspective, the experience is often a single journey. Have any questions? You can learn more about how to simplify insurance products and processes on our site or feel free to reach out directly. This article was originally published on October 13, 2017.